We were supposed to be having shrimp and grits but I just didn’t feel like it. I suggested a dinner we’ve made before, sausages and polenta (or sausages and grits.) It was not too hard to get John to go along. He grilled two sweet Italian sausages and I cooked up some onions and peppers. 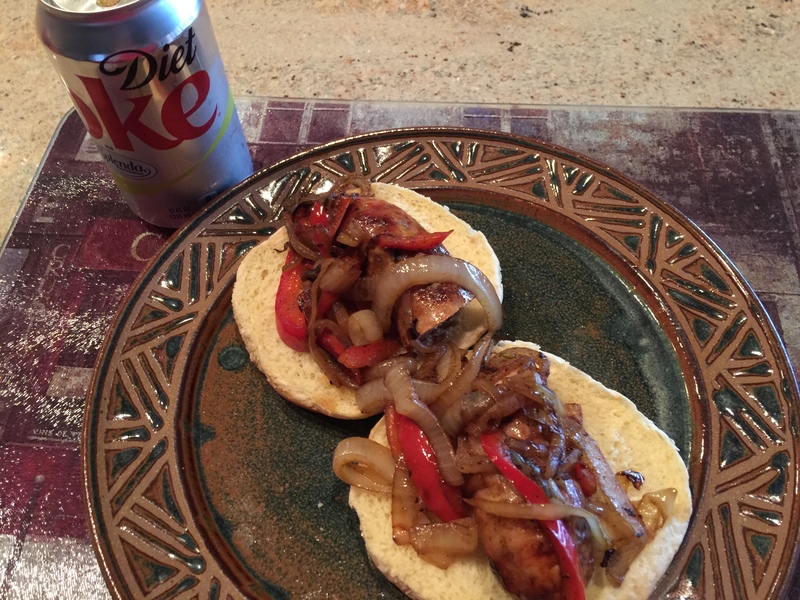 Instead of making the polenta and a vegetable we served the sausages cut in half and each half sausage on a half hamburger bun with the sausage and peppers on top. Since the roll was soft you could curl it around like a taco. I am so evil to change our plans but it was so delicious!